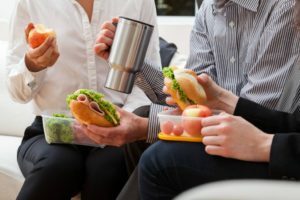 Workplace lunch boxes make a difference. Most foods on offer at vending machines, office trolleys, canteens and ‘tuck shops’ are high in saturated (bad fats), total fat, sodium (salt) and/ or sugar. They are also devoid of fiber, vitamins and minerals.